Thank you Veterans-Men & Women | A.B.E. Remodeling, INC.
Hello Everyone... a bit long.. but of importance. 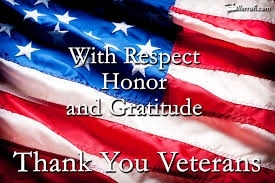 Today we want to thank all veterans- Men and Women who have served or who is currently seving. We know that Freedom is not free for All gave some and some gave all. In remembrance and appreciation we thank these heroes who have attributed to our Freedom as we still have it. THANK YOU. OBSERVE: Because it is a federal holiday, some American workers and many students have Veterans Day off from work or school. When Veterans Day falls on a Saturday then either Saturday or the preceding Friday may be designated as the holiday, whereas if it falls on a Sunday it is typically observed on the following Monday. A Society for Human Resource Management poll in 2010 found that 21 percent of employers planned to observe the holiday in 2011. In his Armistice Day address to Congress, Wilson was sensitive to the psychological toll of the lean War years. "Hunger does not breed reform, it breeds madness," he remarked. As Veterans Day and the birthday of the United States Marine Corps (November 10, 1775) are only one day apart, that branch of the Armed Forces customarily observes both occasions as a 96-hour liberty period. Spelling of Veterans Day -----While the holiday is commonly printed as Veteran's Day or Veterans' Day in calendars and advertisements (spellings that are grammatically acceptable), the United States government has declared that the attributive (no apostrophe) rather than the possessive case is the official spelling. HISTORY: U.S. President Woodrow Wilson first proclaimed Armistice Day for November 11, 1919. In proclaiming the holiday, he said, "To us in America, the reflections of Armistice Day will be filled with solemn pride in the heroism of those who died in the country's service and with gratitude for the victory, both because of the thing from which it has freed us and because of the opportunity it has given America to show her sympathy with peace and justice in the councils of the nations." The United States Congress passed a concurrent resolution seven years later on June 4, 1926, requesting that President Calvin Coolidge issue another proclamation to observe November 11 with appropriate ceremonies. A Congressional Act (52 Stat. 351; 5 U.S. Code, Sec. 87a) approved May 13, 1938, made the 11th of November in each year a legal holiday: "a day to be dedicated to the cause of world peace and to be thereafter celebrated and known as 'Armistice Day'." The National Veterans Award, created in 1954, also started in Birmingham. Congressman Rees of Kansas was honored in Alabama as the first recipient of the award for his support offering legislation to make Veterans Day a federal holiday, which marked nine years of effort by Raymond Weeks. Weeks conceived the idea in 1945, petitioned Gen. Eisenhower in 1946, and led the first Veterans Day celebration in 1947 (keeping the official name Armistice Day until Veterans Day was legal in 1954). Although originally scheduled for celebration on November 11 of every year, starting in 1971 in accordance with the Uniform Monday Holiday Act, Veterans Day was moved to the fourth Monday of October. In 1978, it was moved back to its original celebration on November 11. While the legal holiday remains on November 11, if that date happens to be on a Saturday or Sunday, then organizations that formally observe the holiday will normally be closed on the adjacent Friday or Monday, respectively. SIDENOTE: Today is also "Sundae" day....so buy your veteran a sundae.